Cookbooks come in all sizes, but the big ones are often on the top books of the year lists. They are also expensive and take up a lot of room. So, should you or shouldn't you? Here's my take on some of this year's big cookbooks. The Blue Chair Jam Cookbook was a groundbreaking although sometimes complicated book of recipes from a super creative jam maker and founder of The Blue Chair Fruit Company, Rachel Saunders. 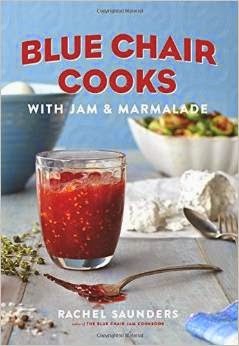 Now Saunders has followed up with Blue Chair Cooks with Jam & Marmalade a book that not only has preserve recipes, but tons of recipes for how to use them, some familiar and others that you probably never thought of before. I think this book is even better than the first, with easier to make recipes that are just as appealing, if not more. There are P*p Tarts, Rose Water Crepes, Beet Salad with Walnuts & Kumquat Marmalade, Summer Squash with Preserved Lemons and Tomato Jam and so many more. These are great ideas and if you have more jam than toast, this book is a must. Who’s it for? The canning addict. Nicholaus Balla and his co-chef Cortney Burns are the co-chefs at Bar Tartine a destination restaurant in San Francisco with cuisine that doesn’t fit into the typical California Asian or California Mediterranean style. The smoked, pickled and fermented flavors of their food are enticing and balanced, and they use of a wide range of ingredients, most that they make from scratch.. Their food is often big and bold and exciting. It's also often complicated to make. 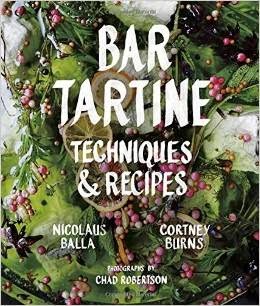 The Bar Tartine book is divided into chapters that might surprise you such as drying of herbs, flower and seeds or alliums, assorted powders, sprouting and soaking and pickles and preserves. Most of their food is shareable small plates, so the recipes are very flexible, choose a few or mix and match. It’s all very diy, and it’s certainly not for beginning cooks, it’s more for the advanced or adventurous. If you don’t have a smoker or a dehydrator there are other techniques you can use, but it may be a bit more challenging. Who’s it for? The advanced home cooks, especially ones looking to expand their skills in preserving, fermenting and dehydrating. There are lots of pizza books out there, but The Pizza Bible attempts to take on the widest range of styles. The book covers all kinds of pizza, not just Italian, but California style, Detroit, Chicago and New Haven. There are grilled pizzas, wood fired, stuffed pizzas--you name it. One of the best features is a baker’s percentages chart, that shows what percentage of water, yeast, malt, salt, starter and other ingredients per style of doughs such as Napoletana, Romana, Sicilian, Sprout Wheat, Multigrain, and more. 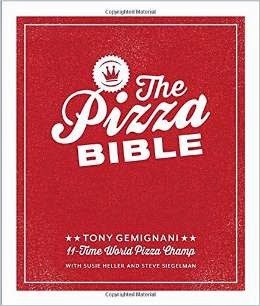 This could replace a lot of other pizza books, it’s that comprehensive, and written by Tony Gemignani, a pizza throwing champion and owner of quite a few pizza places as well as a pizza school. Who’s it for? Those who want to take their pizza making to the next level. Thomas McNaughton’s restaurant Flour + Water is known for pizza, pasta and long waits for a table. 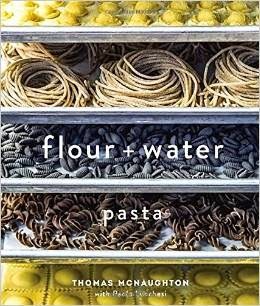 Now if you are a fan of his pasta, you can take on make the pastas from scratch as well as the sauces to recreate restaurant dishes at home, thanks to Flour + Water Pasta. Three kinds of doughs are featured, egg dough, hand-rolled semolina dough and dough for extruded pasta.The recipes are very detailed, but intended as a framework, so you have permission to make some changes depending on everything from the weather to what’s in season to your mood. The recipes include classics you know like Tagliatelle Bolognese and Tortellini in Brodo to ones you might not like Red Wine Rigatoni with Beef Cheeks and Parsnips or Salt Cod and Potato Tortelli with Salsa Verde. The book also has essays and articles on ingredients and producers, especially in Italy. All over the world, readers live vicariously through reading the blog of David Lebovitz an American expat living in Paris. He vacillates between cranky and hilarious, and cooks his way through it all. He has written several cookbooks, and My Paris Kitchen might be his best. 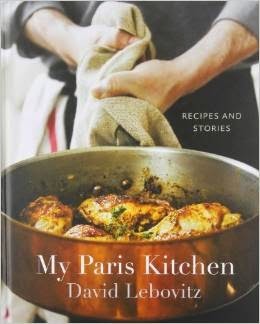 It includes the recipes he cooks, and they are not strictly French, but as he explains, neither is Paris anymore. You’ll find his versions of classics like Cassoulet and Onion Tart, but also trendy stuff like Spiced Meatballs with Sriracha Sauce, Salted Olive Crisps, Butternut Squash Crumble and Buckwheat Rolls with Seaweed Butter and of course plenty of desserts, since he was a pastry chef. There are plenty of stories too from current days back to the time he spent cooking at Chez Panisse. Who’s it for? Fans of DavidLebovitz.com and modern francophiles. 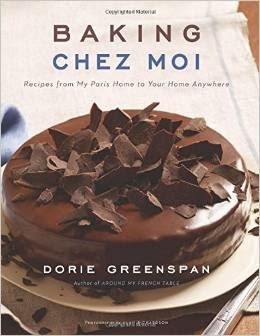 If you have any of Dorie Greenspan’s other books you know she is a master baker. Her recipes are the antithesis of many you find today, they are long and detailed and sometimes complicated, though not always. Baking Chez Moi is focused not only on French recipes but her versions of French pastries, the recipes she bakes when in Paris. Some of the recipes are very much American, but perhaps with a French accent. The book is divided into plain cakes, fancy cakes, baby cakes and petit pastries, tarts and galettes, cookies and bars, and fruits, creams, frozen desserts and candies as well as basics. I’d say this book has something for every kind of baker, the novice and the more experienced. The recipes have measurements by weight for those who have kitchen scales but also cups and spoons for those who don’t. The Mascarpone Mousse, Fruit and Nut Croquants and Apple Speculoos Crumble appeal to me. Who’s it for? Dorie Greenspan fans and bakers of all stripes. Disclaimer: My thanks to the publishers for providing review copies of these books, this post contains affiliate links. I was not compensated monetarily for this or any other post.